The success of outpatient VA care has resulted in a competitive landscape in both urban and rural markets. In the era of bundled and capitated payment structures and reduced reimbursements, excelling in an outpatient VA practice requires effective use of all available resources.This includes a skilled and knowledgeable staff functioning at high team capacity. DOQI guidelines should be utilized and monitored through continuous quality improvement to achieve and maintain superior quality performance. Patient and staff education, multidisciplinary cross-collaboration, and strong communication are essential to the flow of information, implementation of proper management plans, and patient satisfaction. Inventory should be efficiently managed to keep costs low, while clinical care and procedures should be appropriately documented and coded. The latter will ensure steady revenue streams and low days in collection. 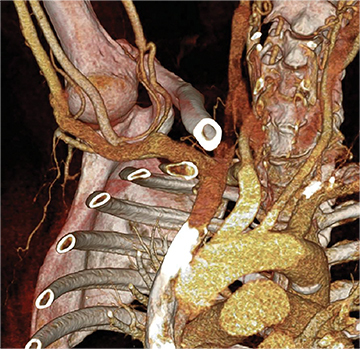 Finally, imaging modalities should be integrated into clinical care for optimization of the workflow. Many centers utilize duplex arterial and venous sonography for vascular mapping and routine shunt surveillance. 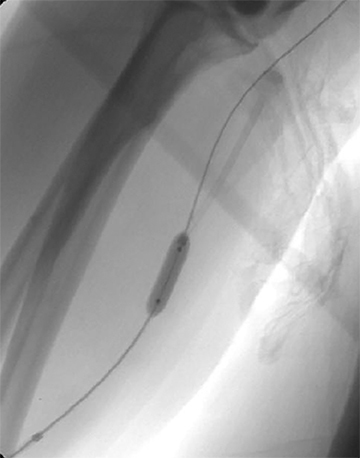 Sonography can also be utilized to evaluate a shunt and its peripheral venous drainage prior to an endovascular procedure.VA centers with the ability to offer computed tomographic angiography (CTA) can further optimize the workflow. 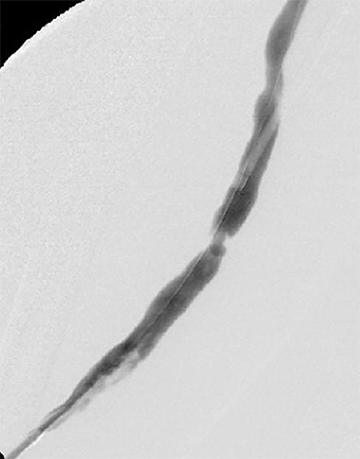 Upper extremity CTA may be indicated in a VA patient when 1) duplex sonography is non-diagnostic; 2) the clinical presentation and ultrasound exam yield an indeterminate understanding of the nature of inflow disease, outflow disease, or both; and 3) there is a need to evaluate central veins (Figure 1).6 Complete inflow and outflow shunt territories can be imaged with a volume of contrast medium comparable to that required for diagnostic catheter angiography. 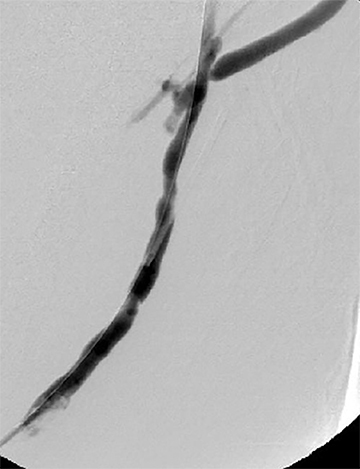 CTA may find there is no viable endovascular solution and that surgery is required. 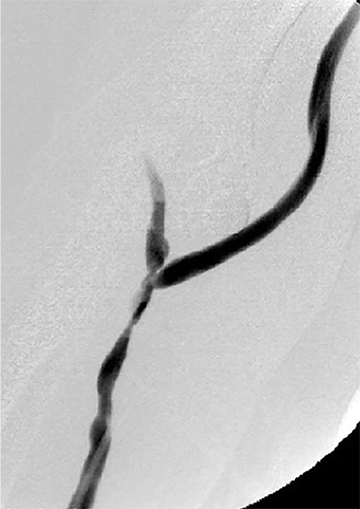 Alternatively, it may help plan an endovascular procedure and reduce the extent of pre-intervention diagnostic catheter angiography (Figure 2). This strategy will reduce procedure time, radiation exposure, and supplies, leading to improved patient safety and lower costs. 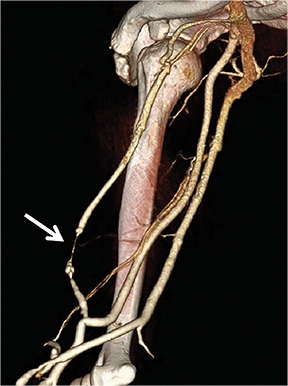 Magnetic resonance angiography (MRA) is also an option fora vascular access center. 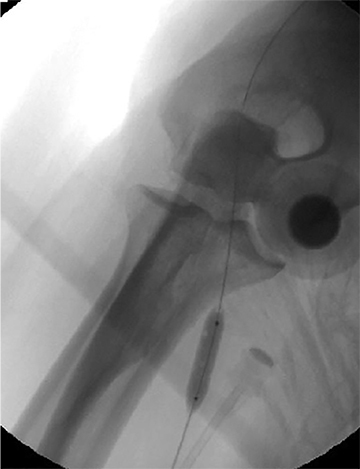 MRA may be performed with non-gadolinium angiographic sequences or gadolinium-enhanced angiographic sequences in an appropriate patient utilizing a non-contraindicated agent for ESRD patients. With sound financial and capital management and efficient operational management, advanced non-invasive angiography and other innovative diagnostic and endovascular strategies can be successfully incorporated into an outpatient VA practice. Continuous quality improvement and a commitment to service innovation are fundamental to the mission of maximizing ESRD patient care, maximizing shunt patency, reducing ESRD healthcare expenditures, and providing benefit to the community stakeholders. USRDS 2013 Annual Data Report: Atlas of chronic kidney disease and end stage renal disease in the United States (2013). The Vascular Access Work Group. NFK-DOQI clinical practice guidelines for vascular access. Am J Kidney Dis. 1997; 30 (Suppl 3):S150-91. Annual Report of the Dialysis Outcomes and Practice Patterns Study: Hemodialysis Data 1997-2011. Arbor Research Collaborative for Health, Ann Arbor. Dobson A, El-Gamil AM, Shimer M. Clinical and economic value of performing dialysis vascular access procedures in a freestanding office-based center as compared with the hospital outpatient department among Medicare ESRD beneficiaries. Semin Dial. 2013 Sep-Oct;26(5):624-32. Sawant A, Mills PK, Dhingra H. Increased length of stay and costs associated with inpatient management of vascular access failures. Semin Dial. 2013 Jan-Feb;26(1):106-10. Hellinger J.C., Epelman M., Geoffrey D. Rubin. 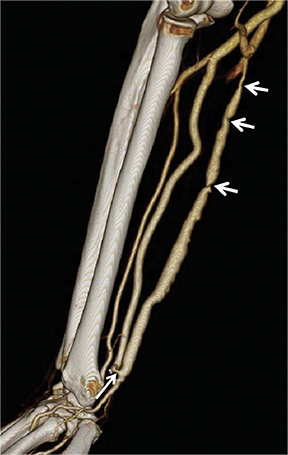 Upper extremity CT angiography: State of the art techniques and applications in 2010. Radiol Clin North. 2010; 48(2):397-421. Interventional Radiology—Outpatient hemodialysis vascular access: Cost-efficient clinical care. Appl Radiol. Dr. Hellinger, Dr. Kassam, and Ms. Mendelson are with the New York Cardiovascular Institute at Lenox Hill Radiology and Medical Imaging in New York, NY.